As the two weakest teams in the group, this game posed a different tactical question for Gernot Rohr and Heimir Hallgrimsson to answer. Against Argentina and Croatia, it makes more sense for Nigeria and Iceland to sit back and attempt to frustrate and scrape what they can, however if they are going to progress from the group they are going to need a win from somewhere, and it was in this game that it was most likely to come. With the stronger team, Rohr was the more proactive. Nigeria moved away from the 4-2-3-1 used in qualifying and against Croatia to a 3-5-2, bringing in Kenneth Omeruo at centre-back, Ahmed Musa and Kelechi Iheanacho in attack and moving John Obi Mikel backwards to sit in front of the defence so he could get on the ball more easily. Hallgrimsson also changed his side, albeit not as much, opting for a 4-4-2 formation. 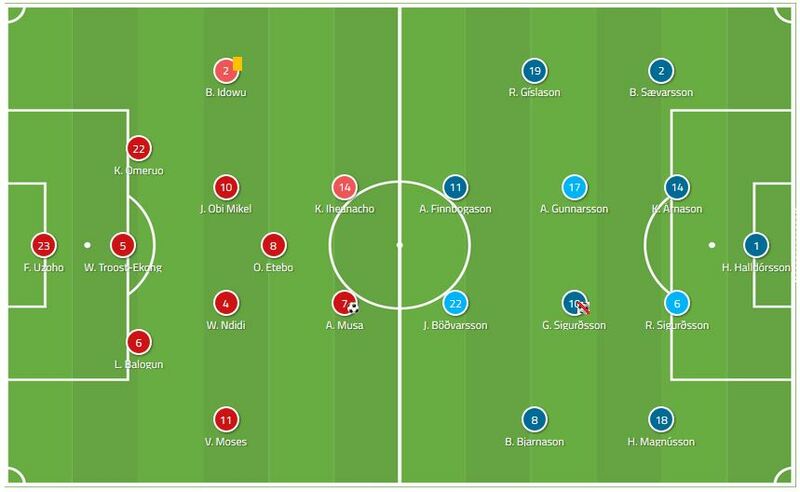 Iceland had defended in a 4-4-2 shape against Argentina but with midfielder Gylfi Sigurdsson joining Alfred Finnbogason up front, however here he dropped back into the midfield four at Emil Hallfredsson’s expense while Jon Dadi Bodvarsson started up front, and Rurik Gislason replaced Johann Berg Gudmundsson on the right. Although Iceland went with a bit more of an attacking line-up for the game, it was still Nigeria who took full control over it – unsurprising given their deeper pool of talent. The game quickly settled into a basic attack versus defence pattern of play, with Nigeria attempting to break down Iceland. The islanders settled back into a compact 4-4-2 shape, pressing on an individual basis when the opportunity arose but mainly trying to play it safe. Nigeria seemed to be perfectly set up to deal with this. 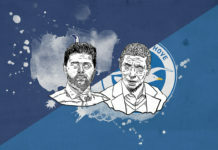 The back three could spread out far enough to easily play around the Icelandic forwards into the midfield, the central midfield trio moved around and staggered themselves up the pitch so that they could play through the centre, while the team was always happy to switch play to the opposite flank with a raking pass if a move broke down, with Brian Iwodu and Victor Mose in particular providing good width. Against Croatia, Odion Ighalo had little support, making it difficult for him to hold up the ball, but the forwards had a much better time here, able to lay it off to each other or to Oghenekaro Etebo behind them. 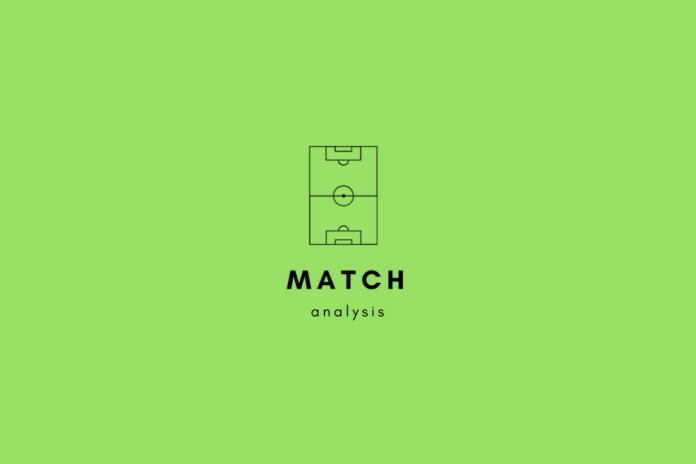 Musa and Iheanacho both frequently looked to run in behind, keeping Iceland’s back-line on their toes as the deeper Nigerian players seeked to hit long balls over the top for them to chase, with Musa’s mobility making him particularly hard to track for the Icelandic centre-backs. Mikel was also up to old tricks recognisable to anyone who had seen him play for Chelsea, attempting to draw the Icelandic press with backwards passes to his centre-backs to open up space in midfield, although they were generally a bit slow to return the ball to the midfield, meaning the Icelandic forwards could drop off again and deny them the use of the space Mikel had engineered. 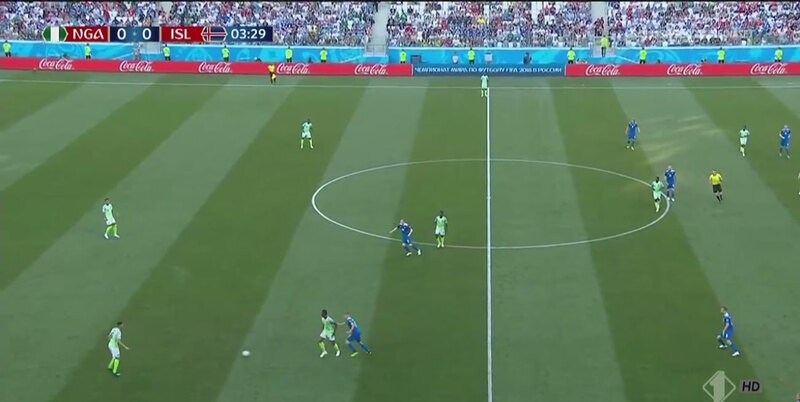 Despite Nigeria bringing variety to their attacking play, they still struggled to break Iceland down as their opponents simply had so much cover in defence. There was one exception to this though: Iceland would push most of their players forward for set-pieces, aware that they were their best opportunity to score. 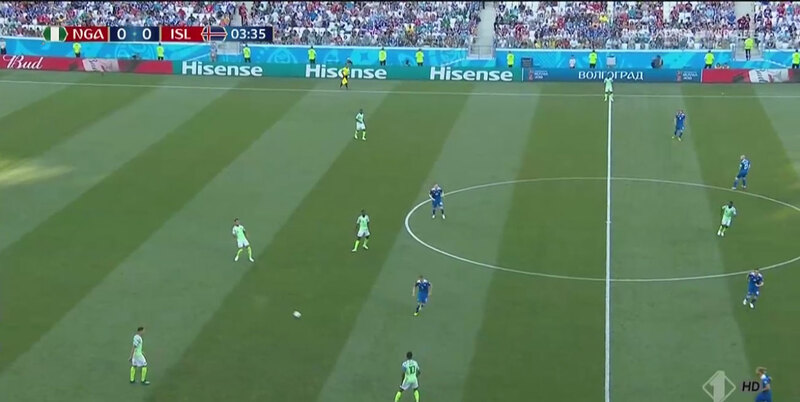 Shortly after half-time Iceland had a corner, which was cleared away, laid off by Musa to the sprinting Moses on the right. 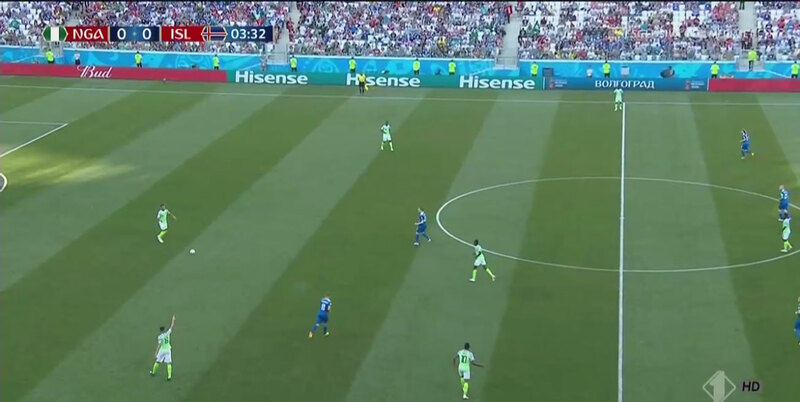 The quick counter of the Nigerians allowed them to put them three against two against Iceland’s back-line, perhaps the first time they had managed to outnumber them all game, and they made it count with Musa beautifully plucking Moses’ cross out of the air before firing it into the back of the net. Musa then made use of his pace for a second 25 minutes later. Iceland were caught up the pitch for a goalkick but lost the loose ball, with a Nigerian defender hoofing it back the opposite way. The ball fell to Musa who left Kari Arnason in his wake before rounding the keeper, taking another step to steady himself and slot the ball home. 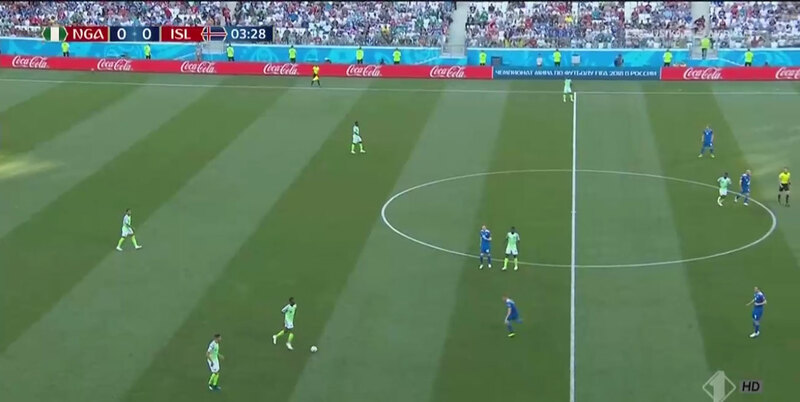 Iceland started the game playing very direct, sending long balls up to the strikers to lay off for those behind them, who would then hit it forward again to move up the pitch, with Birkir Bjarnason moving up alongside the strikers. 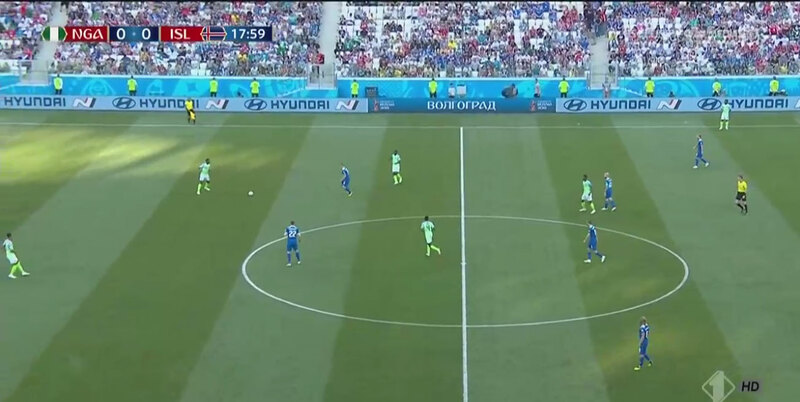 Nigeria found this easy to deal with however, with their players sticking very close to their opposite number when defending, practically man-marking, and each strong enough to win their individual battles, with Iceland’s simple movement failing to trouble them. Gradually though Iceland got calmer on the ball. 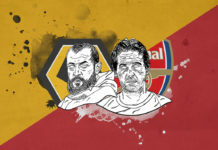 This began with them making use of the space out wide due to Nigeria’s wing-backs dropping back to push their full-backs forward and whip in crosses from deep, yet it wasn’t until after Nigeria scored that they really started to pass the ball. 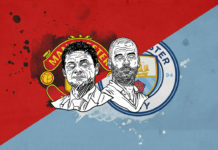 As Musa and Iheanacho stayed high up the pitch and Nigeria’s wing-backs moved back to form a back five, there was plenty of space in midfield for them to work with, finding it fairly simple to pass around Nigeria’s midfielders who were busy trying to follow around specific men. Nevertheless, despite almost getting a consolation though a penalty, Iceland lacked the quality to really threaten Nigeria and the Super Eagles looked comfortable in what was quite a dull game.